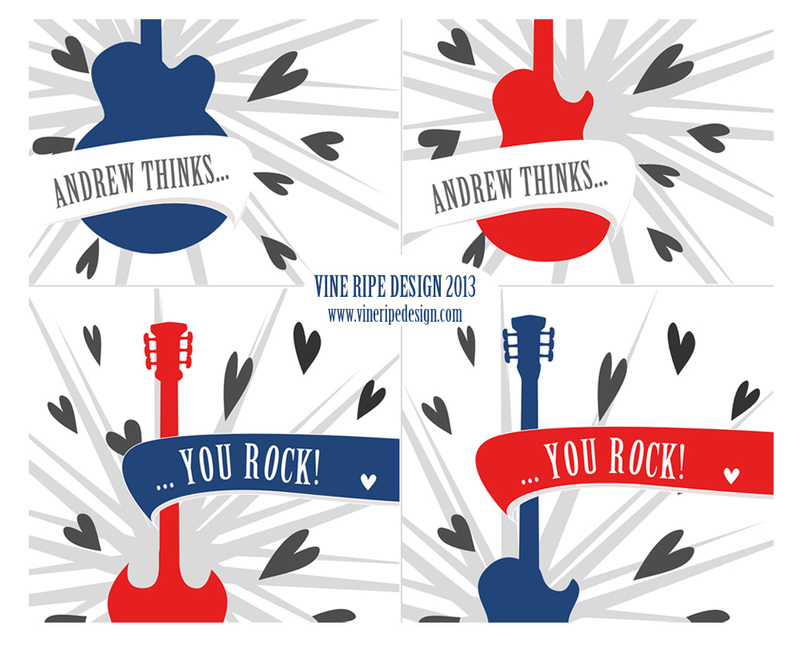 sneak peek: rock’n’roll-red-white-and-blue Valentine’s cards, for kids! I’m pretty stoked at how my guitars turned out, the design is all original work. I’m not done just yet, still mulling over the wording and the size/color of the hearts. I’ll print these at home on matte white 8.5″ x 11″ card stock and cut them with my cropper. 4 cards per sheet. 16 kids/4 cards = 4 pieces of paper. I love those number$!